Rising challenges in maritime security worldwide have created a growing need for enhanced diverse naval capabilities. Elbit Systems will present unique solutions to provide navies with force multipliers to meet these challenges, at the Euronaval exhibit in Paris from 17-21 October 2016, (booth F-22). Exhibits include products providing a strategic advantage in achieving naval objectives and ensuring naval security that have been developed by leveraging technologies from across the Company’s portfolio. The recent additions to the wide naval systems portfolio were developed by Elbit Systems leveraging its wide technology base and vast experience in naval systems. Exhibits include a reconnaissance maritime patrol UAS (showcased in a small model) ship based mini-UAS(showcased in full 1:1 size), the Seagull multi-mission USV (USV model with a performance video) and the SupervisIR wide area persistent surveillance system (demonstrated via simulator). Skylark™ C- Ship-borne Mini UAS (showcased in full 1:1 size) is a new highly autonomous Mini Unmanned Aircraft System (Mini-UAS) specifically designed and built for the full range of ship-based applications, that can be deployed and retrieved in less than 15 minutes. Mission effective, with highly autonomous flight capability, Skylark C incorporates an electrically-propelled air vehicle with a very low visual and acoustic signature, making it an ideal solution for covert operations. The aerial vehicle utilizes Elbit Systems’ industry-leading UAS technology and know-how, featuring an advanced inertial navigation system (INS) and a stabilized electro-optical (EO) payload with a high resolution thermal imager and color daylight camera that enables continuous day/night monitoring in diverse weather conditions. Seagull™ (USV model with a performance video) A multi-mission, 12 meter autonomous Unmanned Surface Vessel (USV) system, Seagull is equipped to perform versatile missions with modular payload suites such as dipping sonar and torpedoes to detect and engage submarines, towed side scan sonar/ SAS and mine identification and neutralization. 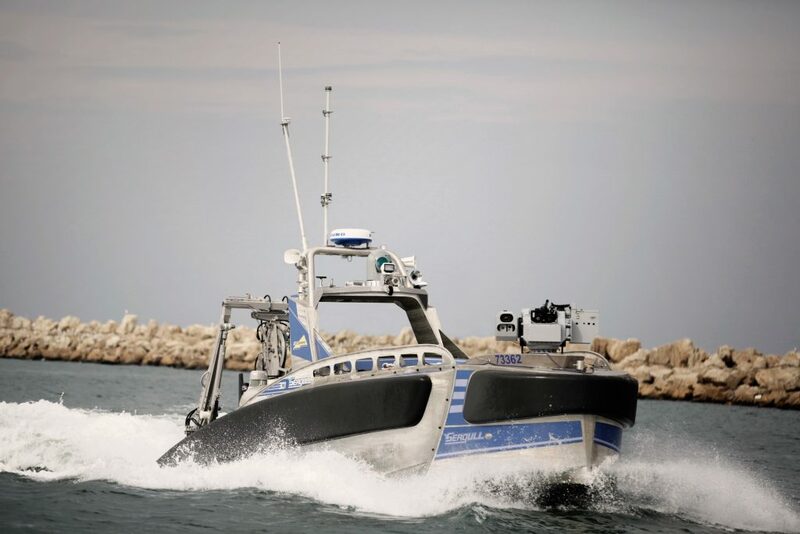 The Seagull USV is also designed to carry out unmanned maritime missions such as protection of critical sea areas, electronic warfare, hydrographical survey missions and more. Seagull can be operated from manned ships or from the shore. 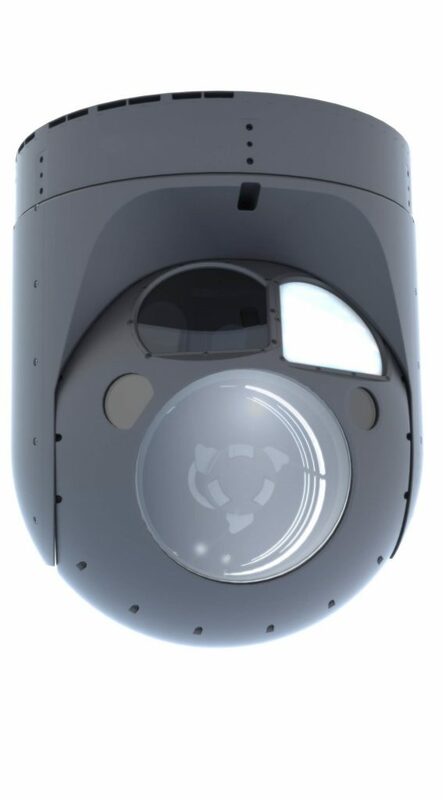 SPECTRO™ XR is an ultra-long-range, day/night, multi-spectral electro-optical ISTAR system that provides 20” payload performance in a 15” payload. The heart of the system is a large multi-spectral imaging system that combines multiple cameras into one, allowing it to significantly improve performance without increasing size and weight. SPECTRO XR implements up to nine advanced and fully digital sensors (Medium Wavelength Infrared – MWIR, Visible and Near Infrared – VNIR and Shortwave Infrared – SWIR and lasers with a very high level of stabilization, providing users with high performance in adverse weather conditions. The system can be installed on a variety of platforms including: rotary and fixed-wing airborne platforms, aerostats, naval vessels and land applications. These unique combinations of characteristics, along with advanced mission capabilities, make it suitable for missions such as surveillance, targeting and fire control as well as search and rescue missions. 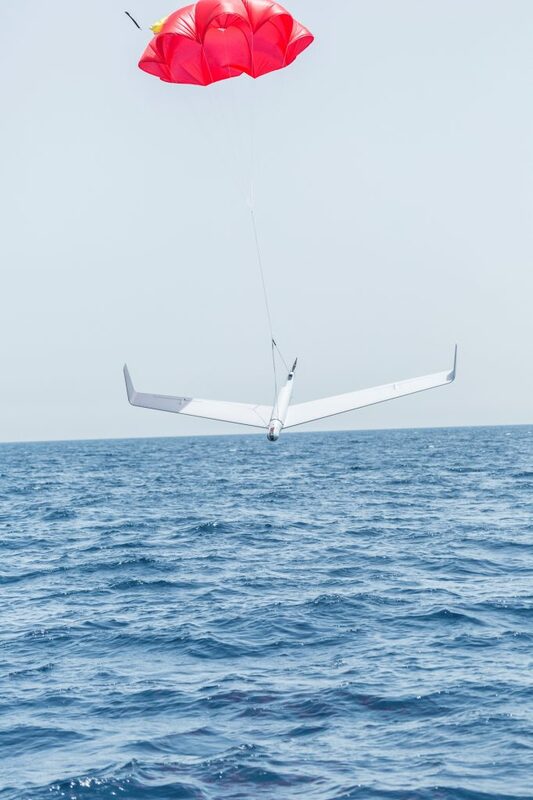 Hermes™ 900 (showcased in a small model) is a multi-mission medium altitude long endurance (MALE) UAS, with a flight altitude of 30,000 ft. and a large payload capacity (up to 350kg). A unique 2.5 meter long internal payload bay is available as part of the UAS’ open architecture, capable of accommodating up to 250 kg and allowing quick modular payload installation and replacement. The UAS includes innovative avionics and electronic systems, a low noise engine, as well as available solutions for sense & avoid capabilities. The Hermes 900 provides navies with a long endurance airborne maritime radar, visual intelligence surveillance and reconnaissance (ISR), automatic identification system (AIS) and optional electronic intelligence / communications intelligence (ELINT/ COMMINT) capabilities. The Hermes 900 also features an advanced satellite communication data link and is operated from Elbit Systems’ universal command & control ground station (UGCS), enabling advanced mission management, highly autonomous mission effective operation and automatic takeoff and landing capability common to all the UAS in the Hermes family. SupervisIR™- Launched earlier this year, SupervisIR is a ground-based Infrared Wide Area Persistent Surveillance System that offers greater search-area coverage, an easy user interface and pixel perfect visualization of multiple Regions of Interest.